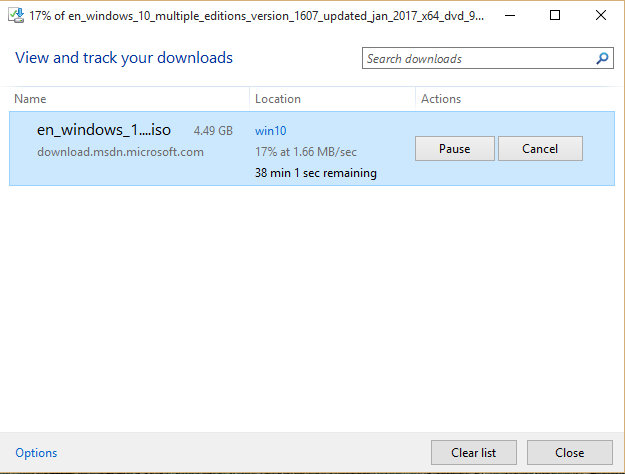 I have found two ways to speed up the download. If you are using Edge or IE11, you can use File Transfer Manager. This way will reduce time from 7 hours to 1-1.5 hours. What you need is just using the IE devtool to emulate IE9 doc and agent type, and then it will open FTM to download your file. See full steps at: https://support.microsoft.com/en-us/help/2900662/you-cannot-complete-some-downloads-on-the-msdn-subscriptions-website. It’s the better way. This will reduce time from 7 hours to 30-40 minutes! First, you have to download the file with FTM (See steps above). Copy link to download the file. Open Firefox, go to https://addons.mozilla.org/en-US/firefox/. 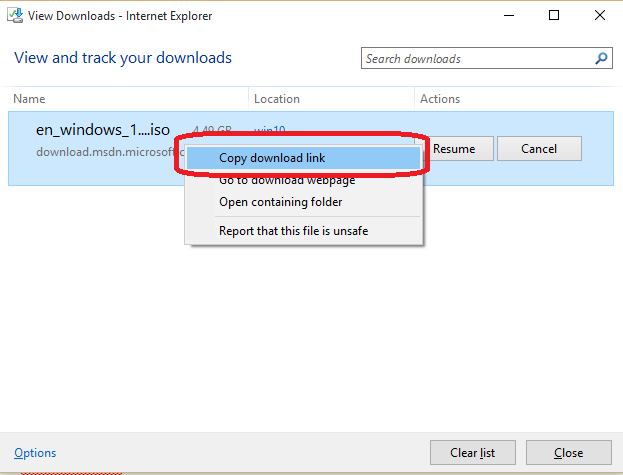 In Firefox, enter URL that you’ve copied from FTM. It will open DownThemAll popup window. Click download the file. In DownThemAll! window, right-click on the file. Choose Advanced > One More Segment. 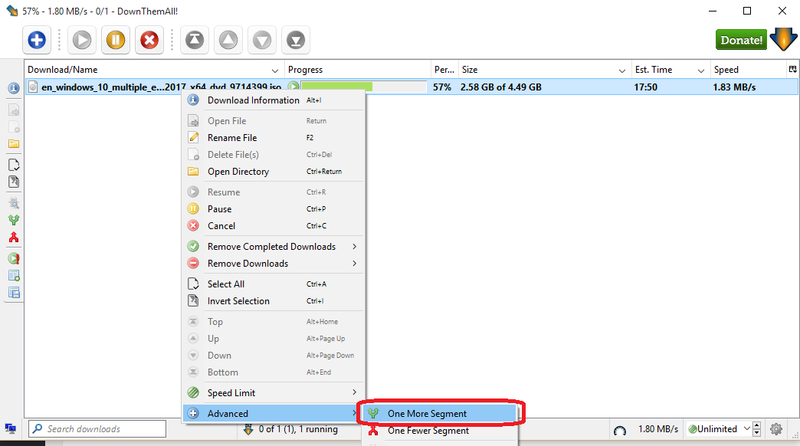 You can adjust number of segments to speed up the downloading. I usually download with 4-6 segments.